The Torm Strooper marches down the street to the tune of the Imperial March! Join the Empire, wear the uniform! 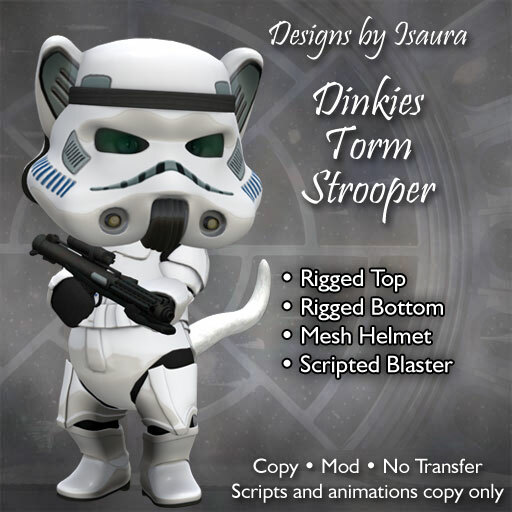 The package includes rigged bottom and top, mesh helmet and safe-scripted blaster. Instructions included in the box. The helmet fits the Kitty Dinkie only. Posted in Tiny Corner on March 28th, 2017.